Performing a Drupal to WordPress migration can be very complex, especially if you have many content types. 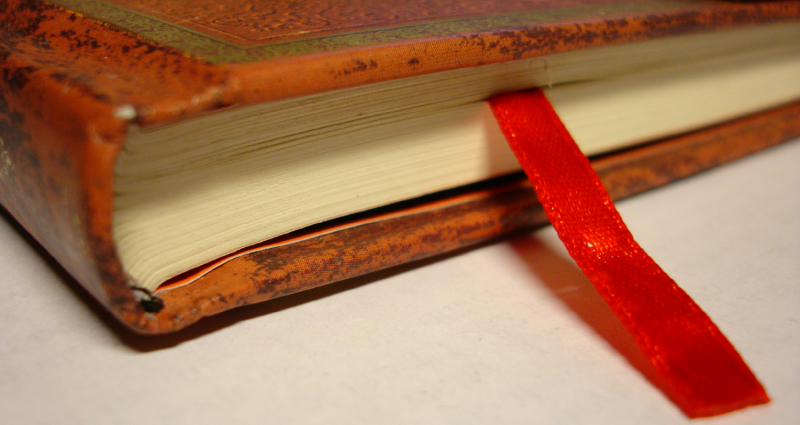 You’ll make the process easier if you create a migration mapping document beforehand. A common migration mapping is to convert Drupal pages to the WordPress page type and Drupal stories to the WordPress post type. However, many Drupal sites also have custom content types so the mapping won’t always be obvious. Will they be converted to WordPress pages or posts? Do they have custom fields? How about views and panels? Perhaps you may need to develop a new WordPress content type to support them. Your Drupal to WordPress migration mapping document will give everyone involved a clear idea about how the Drupal content will be migrated to its equivalent in WordPress. If you’re running the migration yourself on a simple blog or company site, there might not be much need to spend the extra effort but sometimes running through the process uncovers aspects of the site that you may have overlooked. I’d say this is vital for migrations where you’ve hired someone else or if you have a content-heavy or news-based site. Not only will the document make it easier for someone to quote for the job, you’ll also have a specification for reference when checking the results post-migration. Creating the mapping needn’t be complex. The easiest way is draw up a table with at least two columns. On the left column, list down all your Drupal content types. Next write down equivalent WordPress content type on the right column for each row of Drupal content types. You might find it helpful to have a third column for writing notes, such as whether or not you need do develop a new custom WordPress content type. If your Drupal content type has custom fields, simply add rows below each type listing the fields. Developers responsible for the migration can also add additional sections specifying back-end table and field names where the relevant content can be found. Follow a similar procedure to create the functionality mapping. Instead of content type names, list down Drupal modules and equivalent WordPress plugins. If you’re not sure how to make the appropriate changes or would simply like someone else to do the work, please request a quotation for my Drupal to WordPress migration service. This is caused by a difference in encoding types between the source and destination databases. It usually happens when you export from a newer MySQL database (MySQL 5.5.3 and above) which uses utf8mb4, then attempt to import into an older version using utf8. If you are importing from a dump file generated from a MySQL 5.6 database, you may get the utf8mb4_unicode_520_ci message. The 520 refers to MySQL’s use of Unicode Collation Algorithm 5.2.0. 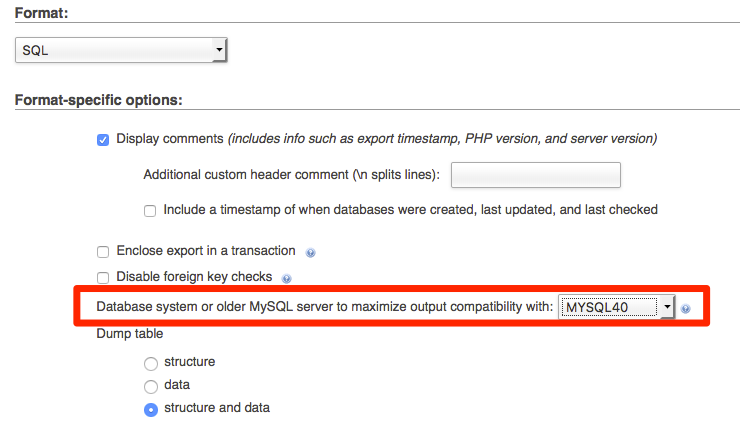 Unknown collation errors may also happen if you are trying to import a MariaDB database into MySQL. I tend to get unknown collation errors with my Rackspace Cloud accounts after Rackspace started offering MariaDB as a database option. Ideally one would upgrade the older destination database but this isn’t always a realistic option. There are a number of discussion threads on the WordPress forum about what to do. Fortunately, many web hosting accounts have a phpMyAdmin interface which provides an easy work-around for the problem. Go the section “Format-specific options” and in the setting for “Database system or older MySQL server to maximize output compatibility with:” select MYSQL40. Scroll to the bottom and click GO. converting the database for full Unicode support. Since many of my WordPress database migrations are under my migration service, I don’t always have control over the client’s platform. The phpMyAdmin export format method is often the simplest solution. You might be wondering about the purpose of encoding types and if there will be any side-effects of downgrading. Character encoding allows support for a set of characters, such as the Western alphabet, Asian scripts and non-alphanumeric symbols. 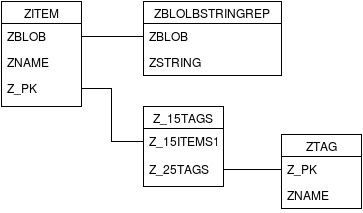 Older utf8 databases support a smaller set of characters whereas utf8mb4 includes emojis, musical notation and Chinese Han characters. If you’ve ever exported a website from one CMS to another and found random characters scattered throughout the copy, it’s because of an incompatible character encoding. Solving the unknown collation error as described here could mean you’ll end up with unsupported characters after your site migration. However, as with many of my Drupal to WordPress migration clients, in all likelihood you’ll be migrating from an older utf8 Drupal database to a newer utf8mb4-supported WordPress database. In this case, your old content will not have characters that will cause a problem after an encoding downgrade.